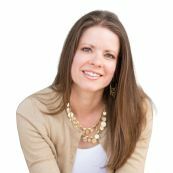 Body Image Lies Women Believe is a book we put together for women of any age. 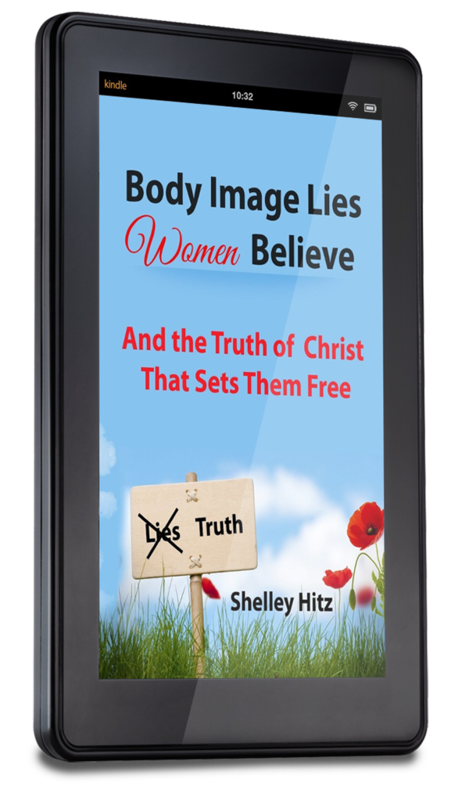 Read 26 different stories from 26 women just like you and learn how to overcome body image lies with God's truth. 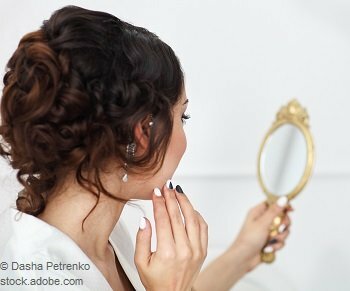 Body image lies - have you fallen for this one? 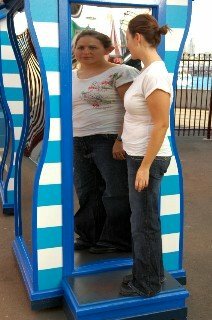 What Does the Bible Have to Say About Body Image? 1 Corinthians 6:19-20 "Do you not know that your body is a temple of the Holy Spirit, who is in you, whom you have received from God? You are not your own; you were bought at a price. Therefore honor God with your body. Romans 12:2 "Do not conform any longer to the pattern of this world, but be transformed by the renewing of your mind. Then you will be able to test and approve what God's will is–his good, pleasing and perfect will." Psalms 139:14-16 "I praise you because I am fearfully and wonderfully made; your works are wonderful, I know that full well. My frame was not hidden from you when I was made in the secret place. 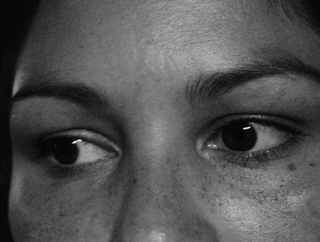 When I was woven together in the depths of the earth, your eyes saw my unformed body. All the days ordained for me were written in your book before one of them came to be." Philipians 3:20-21 "But our citizenship is in heaven. And we eagerly await a Savior from there, the Lord Jesus Christ, who, by the power that enables him to bring everything under his control, will transform our lowly bodies so that they will be like his glorious body." 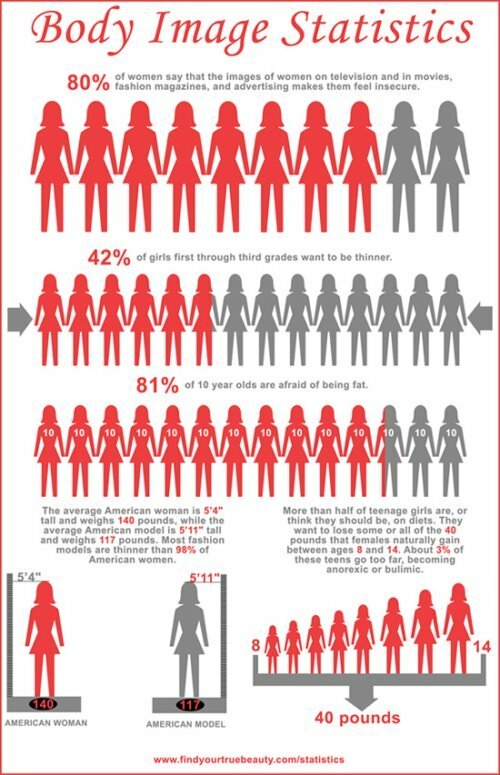 ANRED anorexia nervosa and related eating disorders, http://www.anred.com/stats.html. Kimberly Shearer Palmer, "Colleges Start to Realize Men Need Body Image Help Too," USA today, May 10, 2001, 15 A. "Coaching the Coaches," Psychology Today (March/April 1992), 10. "Searching for the perfect body." www.people.aol.com/people/000904/magstories/index.html, posted August 25, 2000. "Women spend two-and-a-half years on their hair. "www.dailymail.com.uk/pages/live/articles/news/news.html?in_article_id=402793&in_page_id=1770.